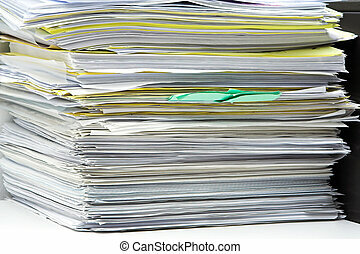 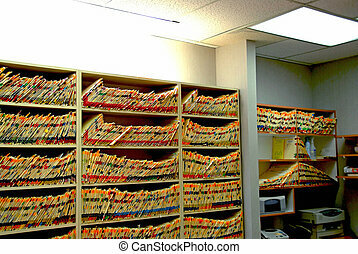 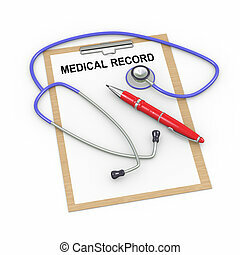 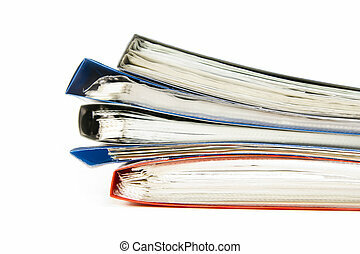 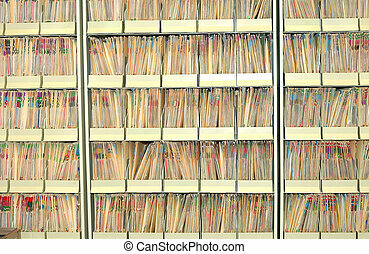 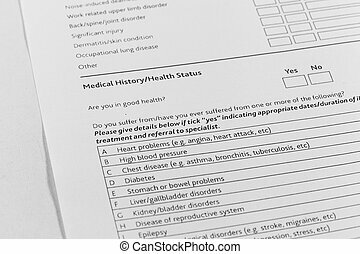 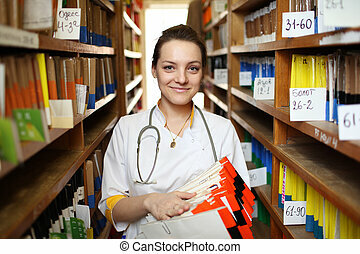 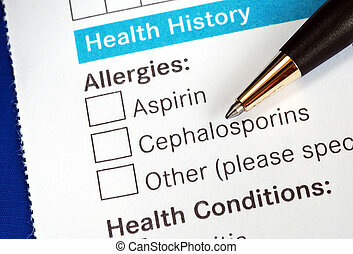 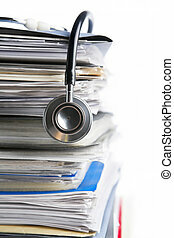 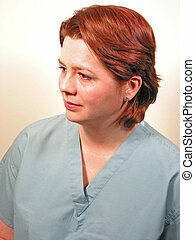 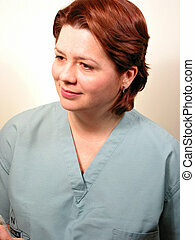 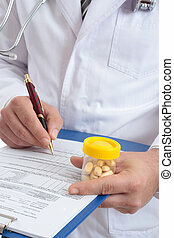 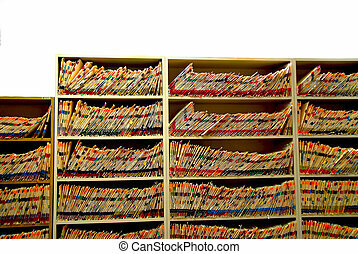 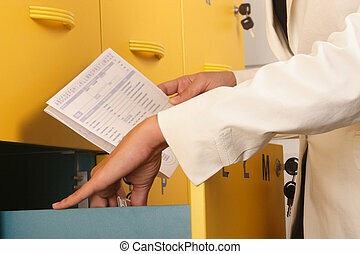 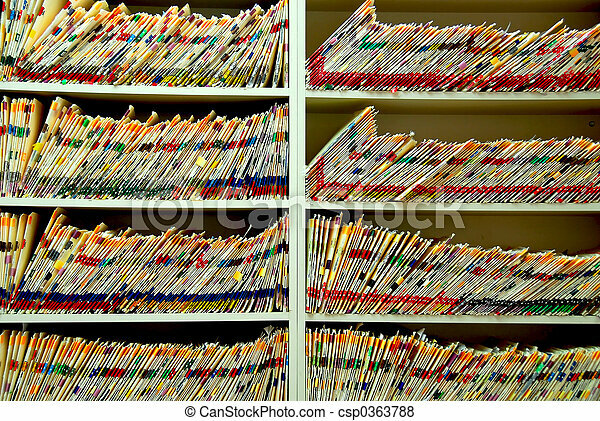 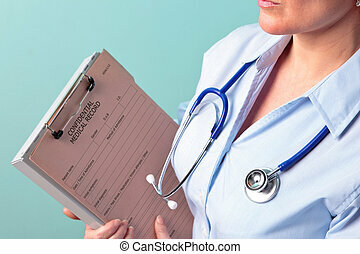 Medical files with patient information in doctor\\\'s office. 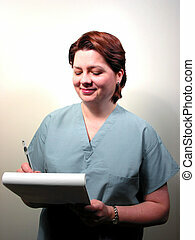 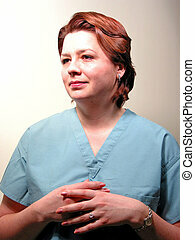 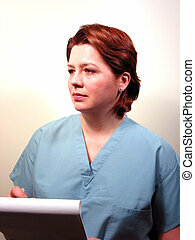 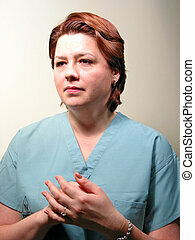 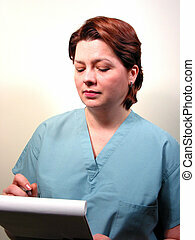 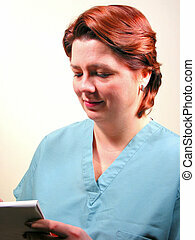 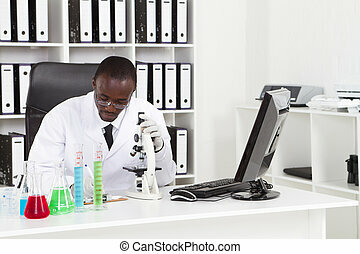 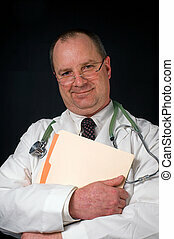 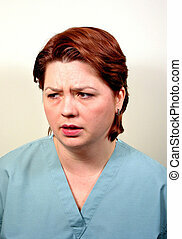 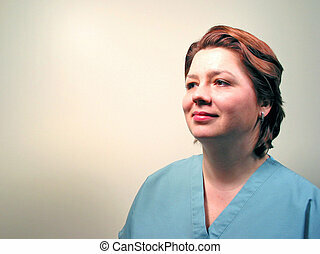 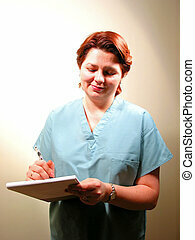 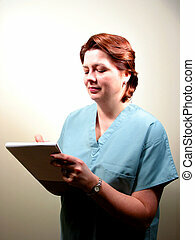 A medical doctor holding a patient\\\'s chart. 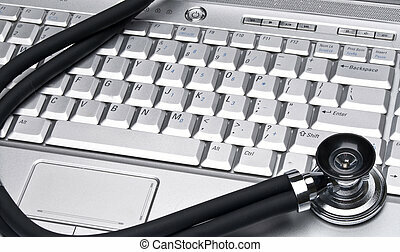 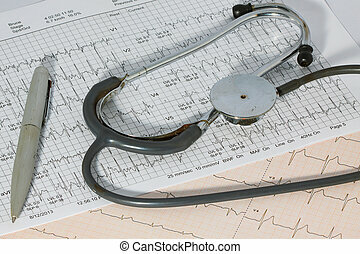 Medical Records Conceptual Image with Stethoscope and Laptop Computer.